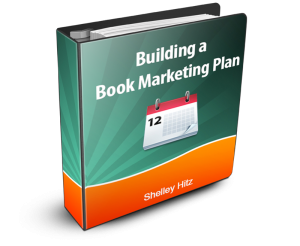 Do you have a Kindle book that you’re thinking of publishing into print? What is stopping you from doing it? Shelley: So, in this episode, I want to position the spotlight on one of my members, Teresa Mills. Welcome, Teresa! Teresa: Hi, thanks. Thanks for having me. Shelley: Absolutely! Teresa is a mother of four and grandmother of two. She loves incorporating learning activities into travel to build on her kids and grandkids life experience. So, how many books have you published now Teresa? Teresa: I’ve published 8 books so far. You can find out more about her and her books at KidFriendlyFamilyVacations.com. It is good for you, especially if you have kids or grandkids. 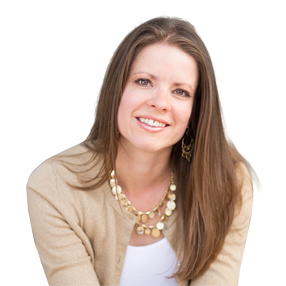 So, for this weeks’ Center Stage Spotlight Training, I’m going to have Teresa share a specific success strategy in our interview together. 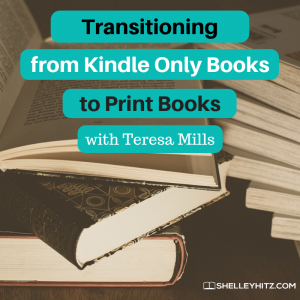 I’m excited to hear more from her about transitioning from Kindle only books to print books. So, Teresa, tell us a little bit of how you even got started in this whole niche of kid-friendly family vacations. Teresa: As our children were growing up we had one older child. And then we had three kind-of clustered together a little bit, younger than the older child. I don’t know. We just never seemed afraid to take them where we wanted to go. So, I even chose that as my publishing company name, Life Experiences. Shelley: Awesome, I love that. Teresa: Yeah, just kind of coin a phrase there. I don’t know. As we started traveling, it just seemed like a way to incorporate this into a website and share our experiences. So, it started as a website and as a blog, many, many years ago. Shelley: What year, do you remember? Teresa: 2008. So, it’s been 10 years. That’s crazy! Teresa: I think that’s when it was. So, I don’t know. It never dawned on me to put the information into a book. But that seems to be a little more popular way to pass along this information. It’s even popular than searching on a website and searching for information. Shelley: So when did you first start to do the Kindle books? I had actually looked into it before but I let fear get in my way, and I just said, “Nah, I don’t need to do that. I don’t need to try that.” And I fell prey to that a lot. So, I got it out there, got it going, and then didn’t really do another one for a while. Actually, that was part of another challenge I did at the same time I met you and started learning a little more. At the time you were putting Author Audience Academy together. Teresa: Just getting started with that. So, I had already published the first book before I joined. Shelley: Yeah, so you probably had a lot of content. If you started your blog and website in 2008, you probably had a lot of content to draw from. Did you find yourself writing brand new or repurposing? Teresa: I repurposed a lot. But when I started digging in and say I wanted to write something specific about Washington D.C., I found that I didn’t have a lot of this nitty-gritty information that kids might enjoy. The blog was written more towards parents. So it’s like, “these are some things that we did, these are some tips that worked with our children.” So, for this particular series, I needed a little more fun fact type information. Shelley: So, it was different. Then, how many Kindle books did you publish before you started getting into print? Teresa: I think that I had three before I tried the print. I still remember I think you actually posted something on it. First, let me back up just a minute and let me tell you. I was getting a little bit discouraged because I wasn’t selling a lot of copies. So I maybe even had four before I got into the print. I was getting a little bit discouraged, so I did some social media posting and it got a little traction there. Still, I just wasn’t seeing a whole lot. Then, one day you posted in our Facebook group, “Would anybody be interested in a Kindle-to-Print challenge?” I said, “Me! Me! Me! Me!” So, I needed that hand-holding to move forward into that. So, now, you have eight books, are all eight books Kindle and print? Shelley: Oh wow, so you have 16 different versions? Shelley: I remember you doing that, and kind of going back and getting all the books in print. So, what did you notice? You took that step, there was some fear, even when you first did the Kindle, and then the print. Once you went through the steps and got your book in print, what did you start noticing with your books and your sales? Teresa: The first one was, “Hey kids, let’s visit Washington D.C.,” and when I put it out into print format, I was selling ten times as many in print as I was in Kindle. Yeah, it’s stark the differences. Shelley: It’s not like, “Oh it’s just a little bit.” It’s ten times as much! Teresa: It was big. It’s even more than that now. So what I do now is I offer the Kindle books for free if you purchase a copy of the print book. So, I do see some Kindle books like that, but there’s very few just direct Kindle. Shelley: So, at this point how many books have you sold? Do you know? Teresa: Yes, Kindle and Print combine, it’s about 4,800. 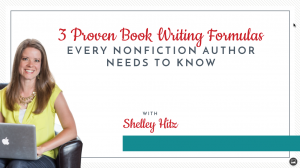 Shelley: Wow, that’s great, especially for independent authors. They say some big statistic, I don’t remember, don’t sell more than 100. Teresa: Yeah, I’m just thrilled with it. Shelley: And, you said most of them are print sales? Right? Teresa: They are. And when you think about it, I guess, I’d like to say that I put a lot of planning into place. I had planned this from the very beginning. The books are 5X8, so they’re a great size to slide into a purse or a backpack. Shelley: Yeah, that is a great size. Teresa: I think that’s a great selling point, having the book with you as you’re out and about. Shelley: So, with your books, it does land well to print because having a Kindle, you can still have your phone and still be looking at it. But there’s something about having that print copy, looking through it and having it as a reference. I find that with my books Self-Publishing Book 101, the Kindle book is permanently free, so it’s out there for free. But it’s still one of my best sellers because people want the hard copy book to write in it and have it as a reference. Everyone’s books and topics are different. Those of you listening may or may not have the exact same results as Teresa, but a lot of times you don’t know until you do it. Teresa: That’s right, you don’t know until you try. Shelley: And to say, “OK, let’s see.” I think it’s just a really great example and a case study of taking that next step. It’s an inspiration to taking the next steps even if it feels scary in some ways too. It’s a message of walking through that fear into action and seeing what happens. Recently, you were telling me a little bit about what you have been doing just to promote your books and some of the results you’ve been having. Do you mind sharing a little bit about that? Teresa: Sure, of course, mine are cyclic. My sales, right before spring break, Christmas, and Summer vacation are bigger sales. At first, I expect it to be in a little bit of a slump with school starting. So what I decided to do was take each book and promote it once a month. You know, social Media do a Kindle free giveaway. Actually, a good case study on that was my “Hey Kids, Let’s Visit New York City”. I had republished that book with a new personal ISBN instead of at the time I printed it. CreateSpace gives you the $10 ISBN but I wanted to use my own. So when I republished that book, it took a little bit of a dip in sales. So, I just did the free promo and posted it on social media and sent out an email to my list, and it kicked back up to its original sales. Shelley: Yeah, that’s awesome. Do you have a really big email list and social media following right now? Teresa: I don’t. I don’t have a really big list. I work on it, but that hasn’t been the number one thing that I’ve been working on. Shelley: So, the promotion wasn’t necessarily just driven by what you were doing on your own. But you still did that. But I think it is important having that Kindle book for free, especially if your book lends itself to the print book selling well. In your particular case, the print book sells really well, and then if they get the Kindle book free, they’re like, “Oh, I want to have this with me to carry with me. I want to buy this to have as a reference and have with me”. Then you can see your print sales increasing. Teresa: As you mentioned, it sort of got back into Amazon’s algorithm. Shelley: Yeah, that is something we can impact. I think, sometimes, as authors, it’s easy to feel like, “Oh, there’s nothing I can do. I feel discouraged,” and to want to see something happen. I think this would be encouraging for those of you listening. Maybe it’s time for you to try a promotion again – a free KDP promotion, or something. What do you have to lose? A lot of times I’ll say, marketing is testing, tracking, and tweaking. It’s trial and error and a lot of times you don’t know until you do it. Sometimes, I think we just get paralyzed and not knowing what to do or feeling it won’t make a difference anyway. But if there’s not a huge risk involved, why not do it? Everyone’s results are different, but I just love having those results. 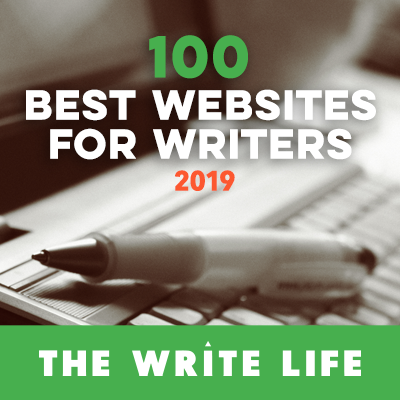 As we wind down, and as we come to a close, do you have a take action tip or piece of advice for the authors who might be listening? 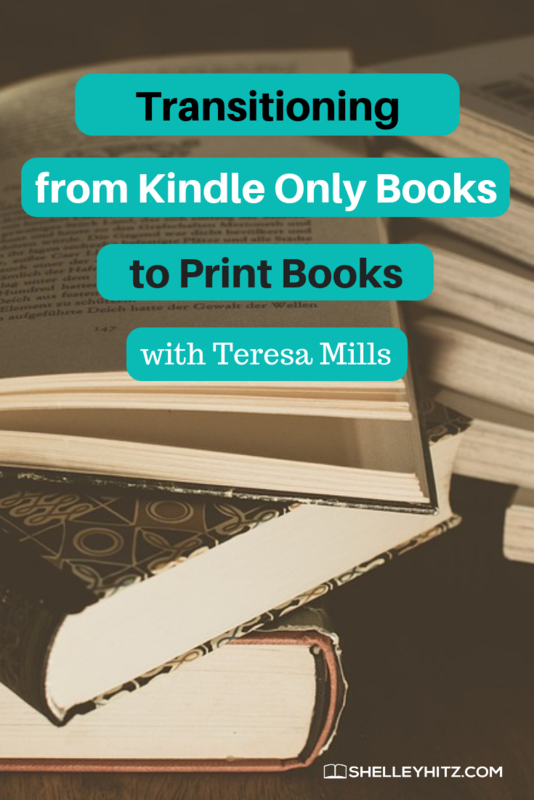 Teresa: I say, if you have a Kindle book or multiple Kindle books that you’ve already published, you’ve already taken that step, take a look and pick one. Just give it a try. If you’re an Author Audience Academy member, it used to be called the Kindle to Print Challenge. It is now in the Publish module as a lesson for us. I’m so glad I did, and once again, I could probably write the book on being paralyzed by fear because I walked myself out of it and I’m so glad I tried it. Shelley: So, what do you think helped you get over that hump? Do you have any advice on getting over the fear factor? Teresa: Well, I think for me it was having the lesson there. It was having the, “Here are some steps,” and solid steps that I can follow to get this done. It made it easy to move forward. That worked for me. 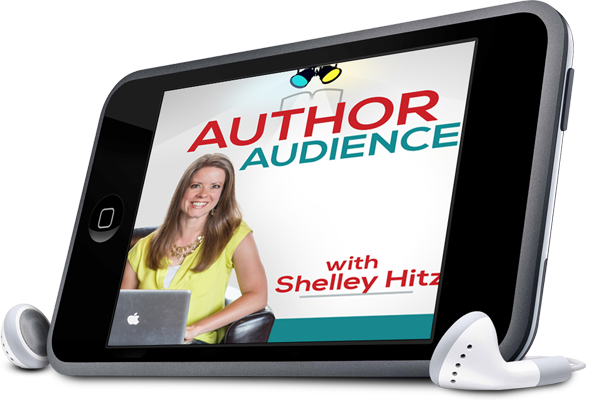 Shelley: We do have a lot of step by step training inside Author Audience Academy, not only for publishing but for marketing. So, if you are interested in joining us definitely check it out at Author Audience Academy.com. I also have a ton of free training a TrainingAuthors.com/free; you can take some of my free webinars and check it out. We would love to have you join us. Thank you so much, Teresa, for sharing a little bit with your story, where you’re at. What’s ahead for you? Teresa: I have two books in the work right now. I’m plugging away on those. We’re going to visit Chicago and Rome. Shelley: Oh fun! One here in the US and one overseas. Thank you again so much, Teresa, for being here. For those of you listening if you have kids or grandkids and you love to travel, check out Teresa’s website and her books. It’s at KidFriendlyFamilyVacations.com, and definitely, have some resources for you to make those experiences. Those are the life experiences that Teresa was saying they started with their children when they were young. Thank you all for tuning in. Until next time!